At least a few times a year someone pronounces SEO dead. Each and every time, after I take a second to roll my eyes, I quickly set out to explain to all the confused site owners out there that SEO is not in fact dead and they can put their suits and little black dresses away. 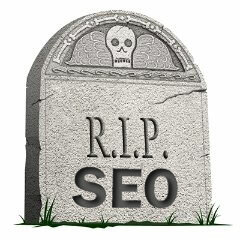 It’s not time to bury SEO quite yet. The latest chatter started when SEOmoz changed their name to simply Moz. Let me start by saying that Moz is only one company and they do not represent the industry as a whole. Secondly, they are getting their fair share of free publicity, links and exposure from this change (this Blog post is exhibit A). Moz is a good company and I’m not in any way accusing them of evil doings, but I am saying it was a strategic decision to broaden their vision and focus and I’m also sure it entered their minds that a lot of buzz would be generated as a result of the change. I don’t think it was ever their intention for their business decision to signal the death of a whole industry. Now, back to the death, or should I say life of SEO. We’ve established that no one company represents the entire industry. But even if you thought they did, look at what they’ve done in making the change. They’ve broadened their focus and the scope of their offerings to cover more than just links and on-page SEO. They want to be free to expand into conversions, and social media and other areas that help businesses grow. That is smart and that is something all SEO companies should do. In fact, many have already done that. Do you see your SEO firm offering social media, copywriting, Blog posts and various other services? It’s because we all know that things grow and change and evolve and to not respond to that change, is to limit your growth potential. So does the fact that it takes more than just on-page SEO to get exposure online mean that SEO is dead? Nope, sorry, it’s still alive and kicking. 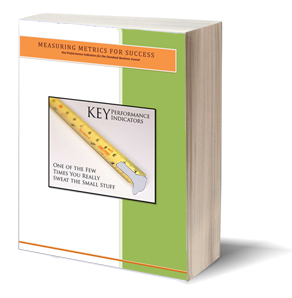 It just means in addition to the on-page SEO, you need to focus on other things as well. The truth is, no one is really killing SEO, we are actually just introducing new friends for it to play with. Whether you call it SEO or SEM or Social SEO or <gag> inbound marketing, it’s all the same thing. It’s about creating exposure for your site while also building trust and authority status to help convert that traffic and exposure into sales. Since that’s a pretty tall order, there are multiple parts to the equation. And one of those parts was and still is on-page SEO. As a site owner, you may be confused by all this chatter and I want to clarify a few things for you. Google is looking for high quality sites that offer high quality information. As long as that is the case, there is a need to create high quality content and organize it in a way that is easy for Google to spider and index. That means there is a need for someone to help you with your content and optimization of that content, if you don’t know how to do it yourself. If you are confused about whether you should be looking for links or not, just think back to what Google is really looking for. They consider links a vote of popularity for a site, so if you’ve bought the link or participated in some scheme to generate the link, it’s not a true vote of popularly and you can be pretty sure that Google will figure it out and that link will hurt you. So instead of link schemes, try using social media to spread that high quality content that you created for your site. SEO has changed and evolved, it’s much more complex, it’s much more insistent that the efforts and work be high quality and it’s never still, it’s always moving and changing. But it does exist. 🙂 The bottom line folks, is that you can call it what you want but you need some form of content addition and optimization and some social activity to grow your site.